Starting out in a business can be quite challenging and crucial. Not only does capital become a problem, but expansion and growth also come to a standstill once in a while. Bootstrapping a business can only be viable in the initial stages but for growth, purchasing equipment or maintaining a good working capital flow requires additional capital. One of the many options to bring on additional capital is taking on a business loan. While the term ‘business loan’ could sound negative to a few due to the debt factor coming into the picture, a loan can actually be a boon to your business. While it is true not every reason is a good reason to take on debt for your business, that does not mean the good reasons do not exist. If you realize your business has reached the stage to take on a further step but not the required capital, here are 7 reasons you might re-consider applying for a small business loan. You and your business is ready for the next leap and is looking to expand the current line but lacks the investment needed for it. You have the ideas, the location, physical requirement of production in place but no cash in hand. This means your business is booming and taking on the debt will actually be beneficial for your business. This loan would help you to grow in terms of expansion, physical location to a bigger space, hire more employees etc. Before you take on the loan, you need to do some estimates and revenue forecasting so that you cover the loan cost and still make profits. You need certain machines or equipment to perform better. Equipment can be a real hindrance when you are trying to expand. Due to heavy machinery cost and charges many businesses refrain from expanding and production. Lack of knowledge has kept entrepreneurs in the dark for the option of loans for equipment finance. Plus, if you take out equipment financing, the equipment itself can serve as a collateral for a loan – similar to a car loan. You can read further on equipment financing and its know hows here. Inventory is one of the biggest expenses while running any business. Also, inventory can be a very tricky area of business as many lack the expertise of how much to invest in inventory. Sometimes a large sum of liquidity is blocked in inventory keeping idle production while sometimes hardly any inventory is produced failing to meet the demand. In order to measure the right amount of inventory, projections are required based on last year’s sales along with last year’s quarterly sales and year on year growth taken into account. To help with the financing of inventory and no ensure no cash is blocked taking on a loan for inventory purposes can be quite fruitful. Working capital is the money required to run the everyday day to day operations. SME’s and MSME’s sometimes require exterior help with the management of working capital. Lenders have loans under the working capital umbrella to boost the operations of a business. As and when the business grows and can function without exterior help, the business can prepay the entire loan. Many times a business is running well and fine but there is a lack of professional touch or expert opinion. The kind of advice and guidance that can b a turning point for your business. When you start your business, you are wearing a lot of hats but eventually, there comes a time when you have to let the accountants deal with the accounts and marketing team market your product while you concentrate on innovation and production. At this point in your business when your small team is managing everything, it is time to invest in talent and expertise. A loan would help you tackle this issue. An opportunity comes and goes like a whiff of the air. Maybe you get the chance to invest in a great machinery at a good deal or place a bulk order for inventory at reasonable prices or market the product heavily during a festive season but lack the investment needed for it. At that point taking on a business loan is an ideal situation as you are expecting momentum and growth and repaying debt along with interest would not be too much of a hassle. One of the many ways of raising funds is through equity. In this process, a part of your company shares is given to the party funding the business. Many time this process leads to giving up a lot of equity in the hands of the other investors with hardly any left for the promoter itself. If you require funding and do not want to part with your equity, debt is the best financing for your business. If you need funding for your business, a business loan is a great way to secure the required capital. However, it is essential for you to take into account the interest payment and capital repayment at the end of the tenure. If you are capable of paying the loan without any default payments and still have a good revenue and profit stream this is the financing option for you. Before taking up a loan you need to fulfil a few criteria and eligibility. Along with, certain documents and paperwork is required. After having that in place you need to look at all the different loan options out there and choose the best one that suits your needs. You can read in depth about all this here. Currently, we only offer business loans for SMEs in India. 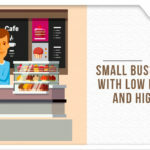 You can apply for small business loans from here.